Choose this path to explore how Trueface's resources can be used in sermon series, small groups, discipleship and church-wide events. The Two Roads video is an excellent introduction to the concept of pleasing God and trusting God, and how this primary motivation affects our relationships. The Cure explores the difference between pleasing and trusting God, and the importance of trusting God and others with yourself. This book, told partly through narrative and partly through teaching, touches on our view of God, sin cycles, forgiveness, friendship, destiny, and much more. The Cure is an excellent way to set a foundation in your church of what it means to trust God and others, what a believers true identity is, and what kind of environment you want to create in your small groups and friendships. *Bulk discounts are available through the Trueface store. Use the code: 10% to get 10% off when you order 8 or more, and the code: 20% to get 20% off when you order 20 or more. 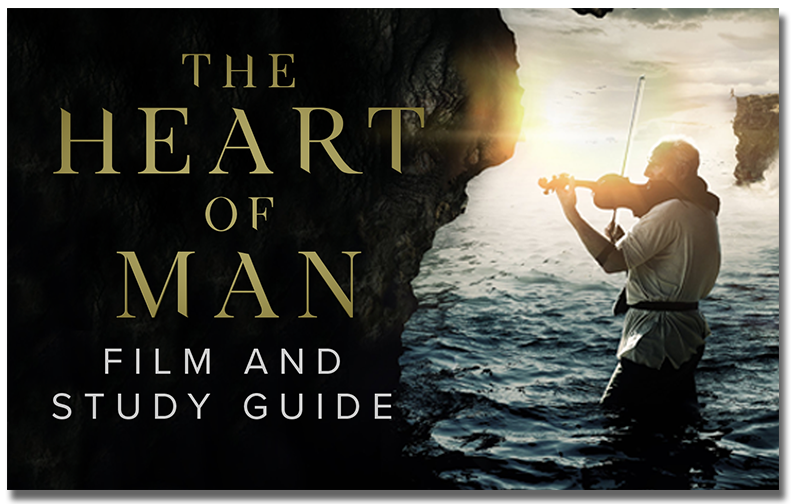 The Heart of Man is a docu-drama weaving together documentary interviews and the parable of the prodigal son, set in Hawaii. This film invites us as sons and daughters to rediscover how God sees us in the midst of our brokenness and rebellion, and invites us all to the banquet the Father is throwing. This film is an excellent way to open honest and gritty conversation about what we really struggle with, how the Father sees us in the midst of our pain and sin, and how we as a community let others in to help us. Use the Participant guide that follows the six main scenes of the film in your small groups. Our newest Trueface resource, The Cure and Parents rides alongside the Clawsons as they navigate how to build trust in their family. As they take their family vacation, you will join their journey of struggling with parenting, family of origin, and experiencing trust. This book is designed for everyone, from teens to grandparents, to understand how trust and grace apply to family. Used by thousands to develop student leaders, volunteer leaders, ministry leaders, and many others, The Ascent of a Leader explores the difference between developing capacity and developing character. This practical, visionary, and hope-filled book guides leaders through a step-by-step process for developing both personal character and the network of important relationships that enable character to win out, even in the face of setbacks, adversity, and temptations to take short cuts. Develop extraordinary character and influence and foster environments of trust for those you lead. Designed to help you experience grace in relationships, the High Trust Leader Course utilizes faculty-guided discussions, face-to-face tools, reading, and specifically designed teaching videos. The High Trust Leader Certificate is done on your own schedule within each week, from anywhere in the world. Throughout the course you will be instructed, challenged, and encouraged in how to develop High Trust Communities of Grace. This is our most in-depth tool to help you create and nurture an environment of grace within your team, family, or small group.